Parents are unhappy at the amount of time a child spends looking at screens. QUEENSLAND parents are desperate to get their children off digital devices and into reading books, with time spent on screens an increasing source of angst and family unrest. A News Corp Australia survey of 1000 respondents has found that 85 per cent of mums and dads want their kids to spend more time reading. It follows an earlier poll that reveals managing screen time is the second highest parenting concern in the state and the source of regular family fights. But it's not as easy as handing a child a book and hoping for the best. In this digital age, when kids as young as two have iPads and classroom learning is increasingly driven by technology, encouraging improved literacy requires a concerted approach. The Courier-Mail is teaming with Australia Post to help thousands of parents and grandparents Raise a Reader this month in a wide-reaching campaign that highlights the importance of literacy skills. As part of the campaign, children will be asked to write a letter to an Australian legend with the chance to win prizes from Australia Post and News Corp Australia. Creating a healthy reading habit does more than enhance writing capabilities. Together, the ability to read and write boosts self-esteem, creativity and critical reflection, according to a report by UNESCO. The empowering potential of literacy can also lead to increased political participation and community participation. Culturally, literacy can help challenge attitudes and behavioural patterns - the better educated people are, the less likely they are to harbour racist or other discriminatory views. UNESCO (the United Nations Educational, Scientific and Cultural Organisation) says people with higher levels of literacy live longer and maintain better health because of their lifelong learning through reading and writing. Importantly, investment in literacy can strengthen the bonds between families. Several studies point to the merits of "shared reading" for young people, including exposure to new words, grammatical expressions and spelling. Reading aloud to children also boosts cognitive development by stimulating the parts of the brain dealing with narrative comprehension and mental imagery. Children who have established a positive relationship with books early are therefore better equipped to take advantages of social and professional opportunities later on. Even people immersed in the digital world acknowledge the life-changing power of literacy. Evan Spiegel, the co-founder and chief executive of American multinational technology and social media company Snap Inc, has put down his phenomenal success to reading extensively as a child. Spiegel, creator of the Snapchat app that has more than 186 million daily active users, was not allowed to watch TV until he was a teenager, so became engrossed in reading and building things. As a result of his own upbringing, he and his wife, Australian model Miranda Kerr, set strict screen limits of 1½ hours per week for Miranda's son Flynn Bloom, who is eight years old. Meanwhile, the majority of Australian kids spend more than the recommended two-hour daily limit on screen entertainment, according to a study by the Australian Institute of Family Studies. Every home is different, with no two families the same, but what cannot be disputed is the long-term value of reading and the involvement of mum or dad in a child's literary journey. The Courier-Mail's partnership with Australia Post in the Raise A Reader campaign aims to help parents become better educators and role models around reading. We all have busy lives and no one should judge a harried parent who occasionally lets their child spend some time in front of an iPad or TV screen. But it will never replace the bond created through sharing a book with a youngster. Reading should never be a chore, it's truly a time to be cherished with your child or grandchild. QUEENSLANDERS have always had a love affair with the plethora of summer sports, such as cricket and tennis, but increasingly we are becoming passionate supporters of the arts. Last year, record numbers of people passed through the doors of the magnificent museums, galleries and performance spaces throughout the state. And there is plenty to look forward to in 2019 with QAGOMA's summer blockbuster The 9th Asia Pacific Triennial of Contemporary Art (APT9) a good place to start. 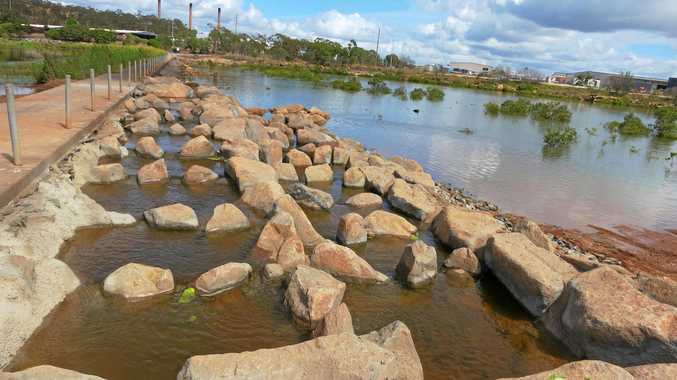 This is the premier visual arts event in Australia and is on until April. QPAC set an attendance record last financial year with 1.8 million people and from tomorrow ballet lovers can see the next generation of stars in Ballet Theatre of Queensland's The Sleeping Beauty at the Playhouse. 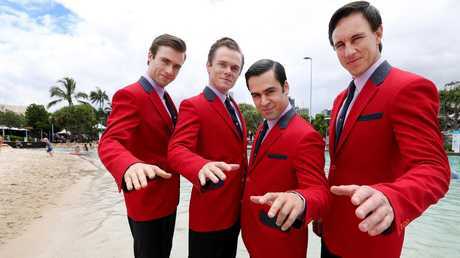 Jersey Boys is wowing them in the Lyric Theatre and The Illusionists: Direct from Broadway is packing them into the Concert Hall at QPAC until Saturday. Across the river at the Museum of Brisbane, The Designers' Guide: Easton Pearson Archive is pulling a crowd and independent theatre is popping up to fill any gaps. With so much talent on display, it is easy to imagine our love of the arts will continue to grow to rival the sounds of leather on willow each time summer comes around.